Following on from the story about Bentham station twinning with a toilet in Guatamala (https://bit.ly/2AOGAqm), CRL is pleased to announce that it has successfully twinned its toilet in the Accrington Bunker. 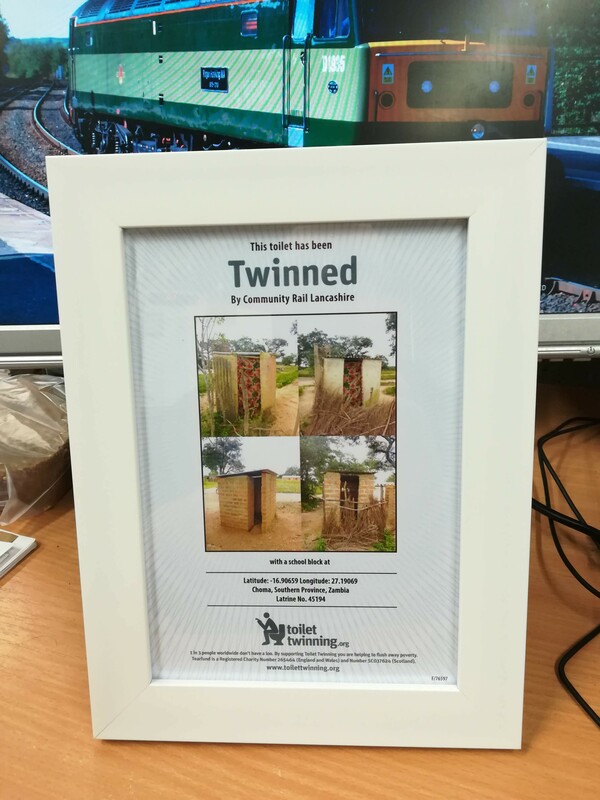 At the recent CRL Board Meeting it was agreed that we should follow the Friends of Bentham Station’s lead and twin with a toilet in an area where people live below the poverty line and have little access to fresh water and safe sanitation. As CRL has strong educational links it was decided that we should aim to twin with a school’s toilet block in Zambia. The certificate confirming the twinning arrived in Accrington today and can be seen above. 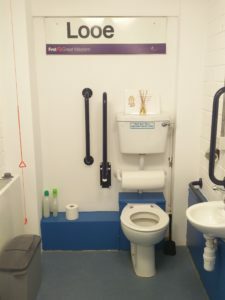 From the photograph on the certificate it is likely that the toilets are in the clearing just south of the red arrow indicator.